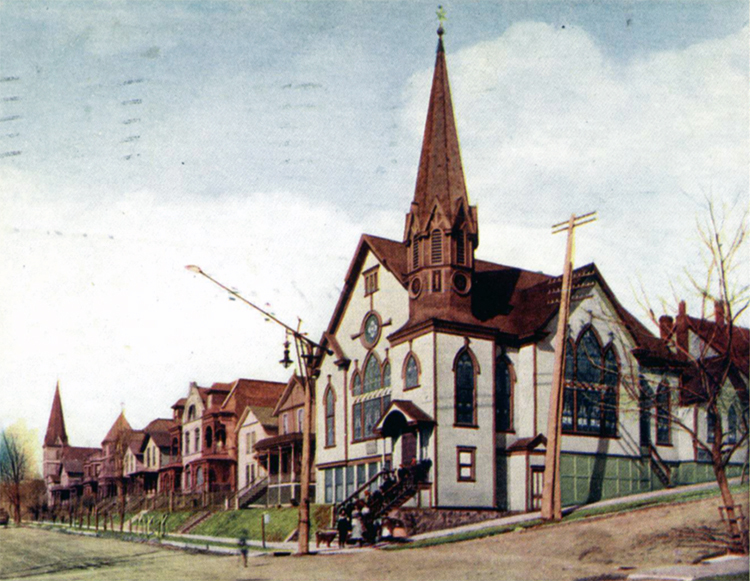 Fifty Duluthians organized the First Norwegian Danish Evangelical Lutheran Church congregation in October 1871. For a short time, they held services at St. Paul’s Episcopal Church before building their own facility at Fourth Avenue East and Tenth Street in 1871. Unfortunately, it was literally torn apart by the legendary “gales of November” — a windstorm in November 1874 that destroyed the building. The parish then purchased the former Swedish Methodist Church at Fourth Avenue West and Fourth Street, but didn’t stay long. 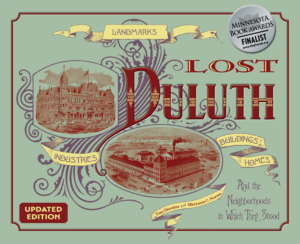 In 1887 they built another at Third Street and First Avenue East, but that one went down in an 1895 blaze. That same year the undaunted Evangelicals built a clapboard-sided two-and-a-half-story church with a Gothic steeple on the 1887 church’s foundation. This time the building lasted seventy-seven years, serving its congregation until 1950 when the parish built a church at 1100 East Superior Street and changed its name to First Lutheran. Christ Temple Church moved into the 1895 church and held its services there until 1970; the church was razed in 1972. The lot it sat on is now the southwest corner of Central Hillside Park.